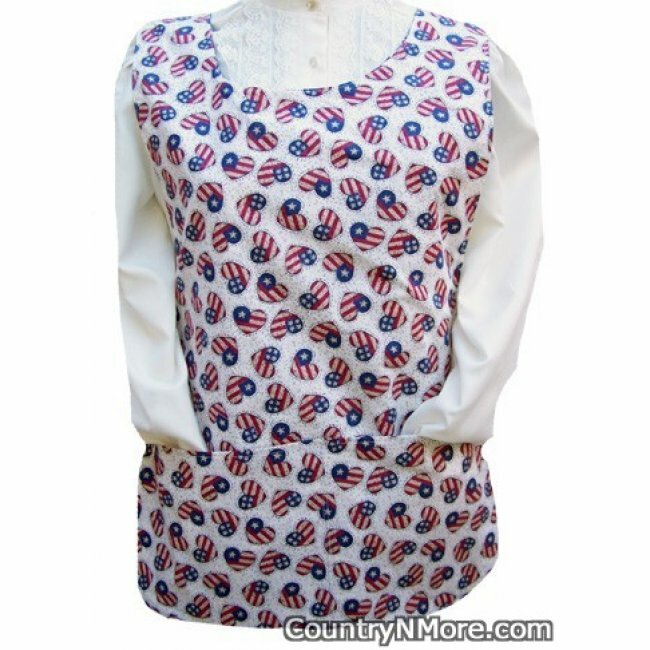 The front side of this patriotic cobbler apron has flag hearts and sayings. The words on the apron remind me of a song. The phrases include "Sweet Land of Liberty," and "Of Thee I Sing." The reverse side of this handmade cobbler apron was made using a flag heart print. The two prints really do compliment each other. This apron is slightly shorter and narrower at the bottom than the aprons that we usually make. 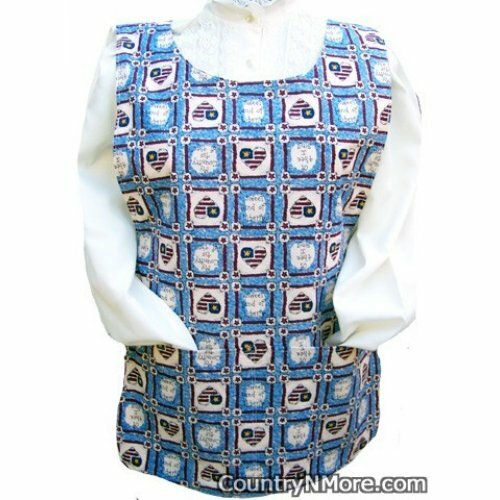 Reversible Cobbler Apron fits waists up to 48 inches. Apron measures 27 1/2 inches long.